Being a comic book fan in the 80s I grew up thinking there was no problem that couldn't be solved by golden flaky crust or delicious cream filling. Apparently that doesn't apply to financial insolvency, as snack cake maker Hostess Brands files for Chapter 11 bankruptcy for the second time. It's hard for me to believe the company that controls the world's supply of Twinkies, Ho-Ho's, and Ding Dongs could be anything less than ridiculously wealthy, yet here we are. How can this be? In the bankruptcy filing submitted to the U.S. Bankruptcy Court for the Southern District of New York today the company that sugar built cited harsh economic times, strong competition, and overwhelming debt due to pension and medical benefit obligations as its reason for seeking Chapter 11 protection. The core problem seems to be that the company is struggling to maintain an archaic benefit system that has them in the hole of $944.2 million to the Bakery & Confectionary Union & Industry International Pension Fund, with an additional $11.8 million owed to the Central States, Southeast and Southwest Areas Pension Plan. Conversely the company values its assets at somewhere between $500 million and $1 billion. Harsh economic times make sense as well, and I'm sure the fitness movement has done its fair share of damage, but competition? Who is competing with Hostess? They make Transformers snack cakes. No one can compete with that. Though, have you had a Tastycake Krimpet lately? Those things are delicious. As for Hostess fans, I wouldn't start desperately hoarding Twinkies for the coming snackpocalypse. This isn't their first trip through bankruptcy junction. It went through the same process in 2004, back when the company was called Interstate Bakeries, and the flow of snack cakes and Wonder Bread never faltered. The company emerged from that bankruptcy in 2009, renamed itself Hostess Brands, and went a whole two years before doing it again. Okay, maybe a little fear is valid. 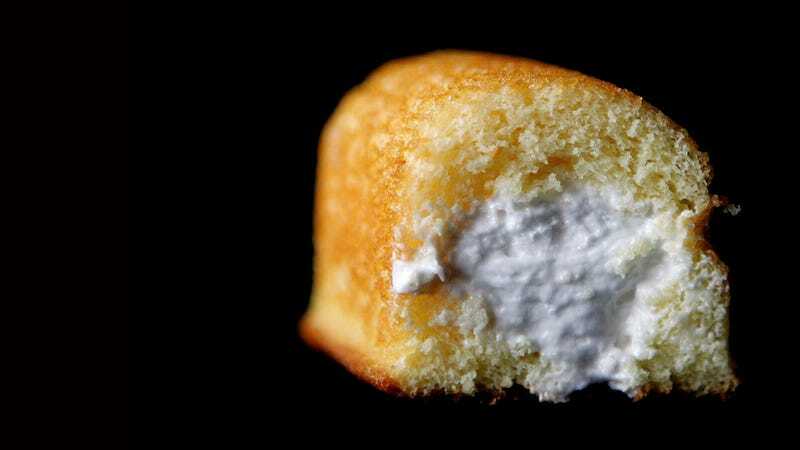 Hostess has already secured $75 million in financing to keep operations going during the restructuring and hopes to come out the other end a stronger, more competitive company with competitive employee benefits that don't drive it into the ground a third time. I wish Hostess the best of luck in their restructuring endeavors. I also wish my local stores carried Chocodiles.